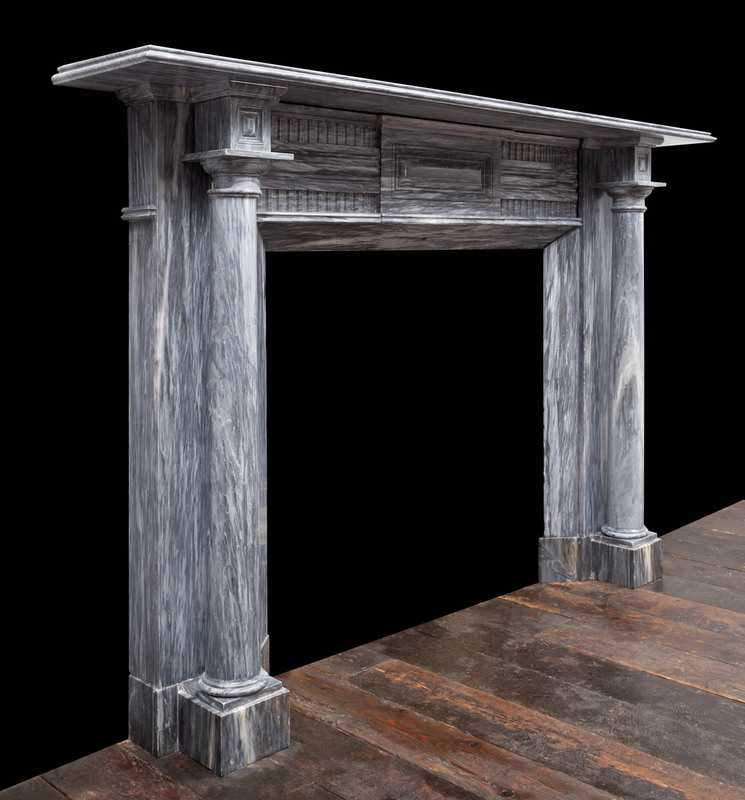 The moulded shelf sits above projecting end-blocks carved with recessed panels, these are supported by full rounded Tuscan columns standing freely in front of plain pilasters. 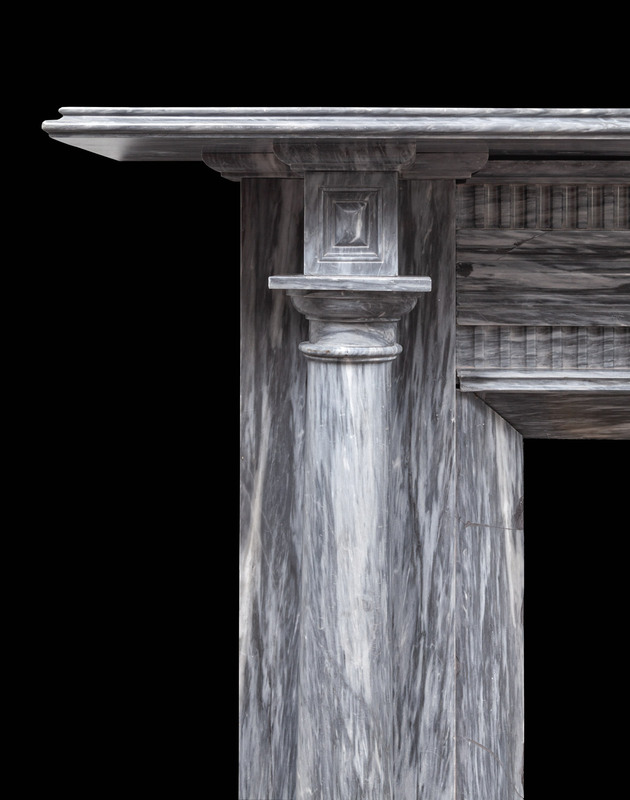 The frieze comprises off a recessed panelled centre tablet with fluted panels to either side. 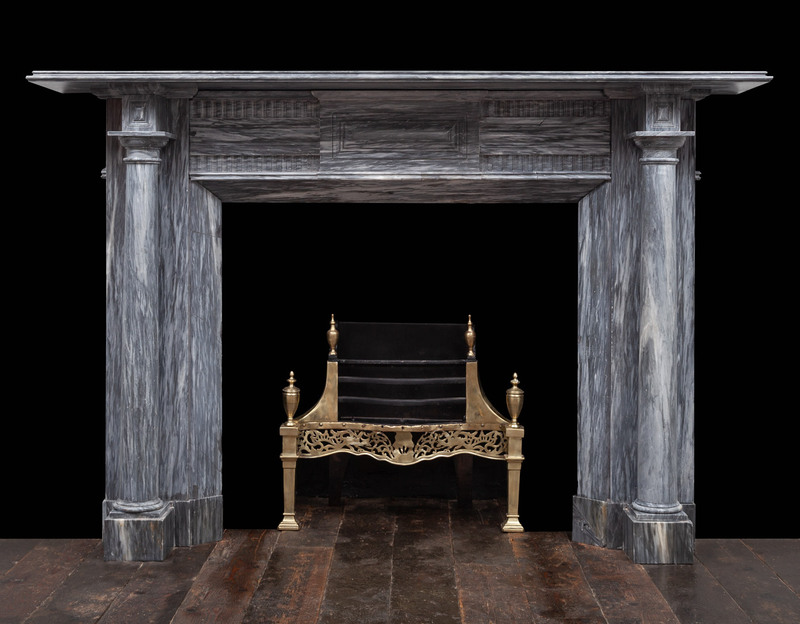 A fine example of an Irish marble fireplace from the late Georgian period.